Eating a bowl of soup daily could serve as an effective way of checking your weight. According to a discovery made by health experts, addition of low-calorie vegetable soup to the beginning of meals can help in losing weight. This is mainly because by eating soup, one tends to feel full sooner and hence, less of the main course is consumed. 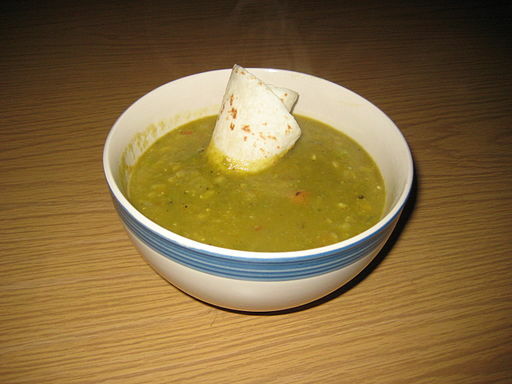 The regime of soup was tested by Pennsylvania State University Researchers. The research team was led by Dr. Barbara Rolls. Their results indicated that participants lowered their total calorie intake by 20 percent when they enjoyed a first course of soup prior to taking lunch. However, this was not the case with participants who did not consume soup at the start of their meals. It is essential for those who prefer creamy soups to be cautious. Researchers emphasized on the need for the soup to have low calorie content and be stock-based rather than cream-based. All the soups that were tested or rather investigated constituted of the same ingredients. The ingredients were broccoli, chicken stock, carrots, cauliflower and potato. The ingredients were blended into four types with varying thickness and texture. These ranged from different vegetables and stock to pureed soup. According to the scientists’ viewpoint, the thick soups that had vegetable chunks and needed to be chewed should be more satisfying or filling. However, this was not the case. They were surprised to find out that the same effect was applicable to all forms of the soup. This means that both thin and thick soups had a filling effect, and could be effectively used by those who wanted to lose weight. The findings of the study were presented during the Experimental Biology Conference that was held in Washington DC.